Today I've made a card for the December Papertrey, Ink Blog Hop Challenge. It's the first time I have participated in this event. 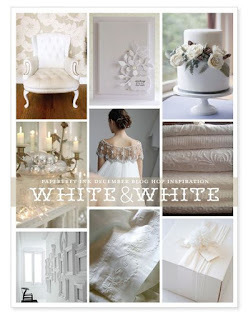 The Challenge this month is White & White. 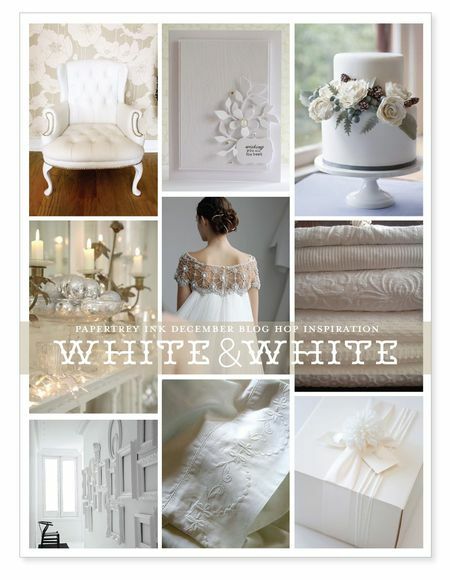 This is the inspiration photo they provided that feature all white items. Here's my card. I used the new Man & Wife dies from PTI and Nestabilities dies. I covered some areas in Martha Stewart Dove Glitter and the bouquet is covered in Purple Glitter. I'm not good glueing paper on glitter so I just attached the Nestabilities panels together with the tiny attacher. I made sure the staples were behind her dress. I couldn't figure out what to do with a sentiment so I left it off. The white paper is from PTI. Thanks for stopping by!! Donna that is one of my favourite Spellbinder`s dies and all that glitter is gorgeous. Beautiful card. This is gorgeous Donna! Love the bouquet! Beautiful mat die as well , love the sparkle paper! Yep, totally agree with your call on leaving the sentiment off. Everything is completely balanced as it is. Love it! 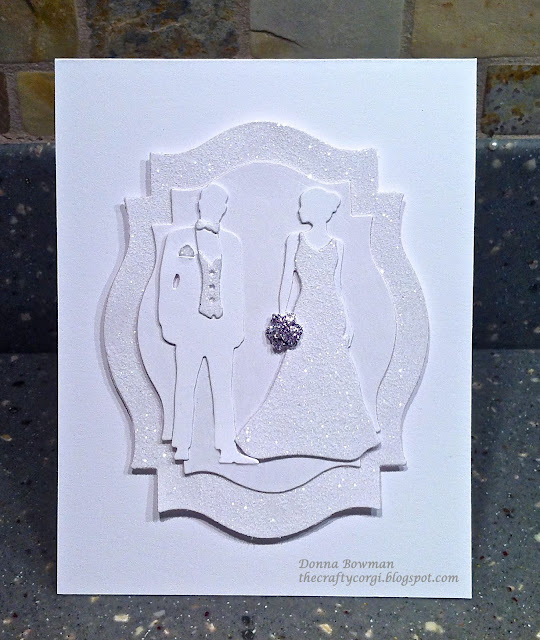 What a Gorgeous card with the silhouettes! Love how clever it is! Love the Spellbinders that you used - perfect die for anchoring the bride & groom. Just the right touch of glitter & color and no need for a sentiment! Beautiful card! I love the white on white look. Perfect placement of the glitter--fabulous card! Lovely job, nicely done with the glitter. Beautiful card! Love that touch of purple on the bouquet! Wow! Love the glitter in this card!! It looks SO beautiful! !